On June 2 and 3, boats from all over the Bahamas took to the rough waters to bring home great prizes, and of course, bragging rights. 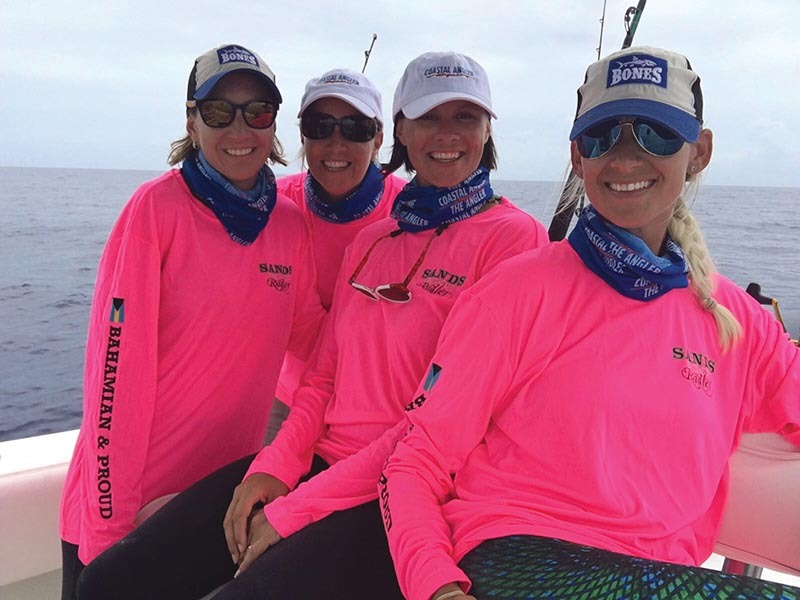 This year there was only one boat that could hold stakes in being the only all female angler boat. 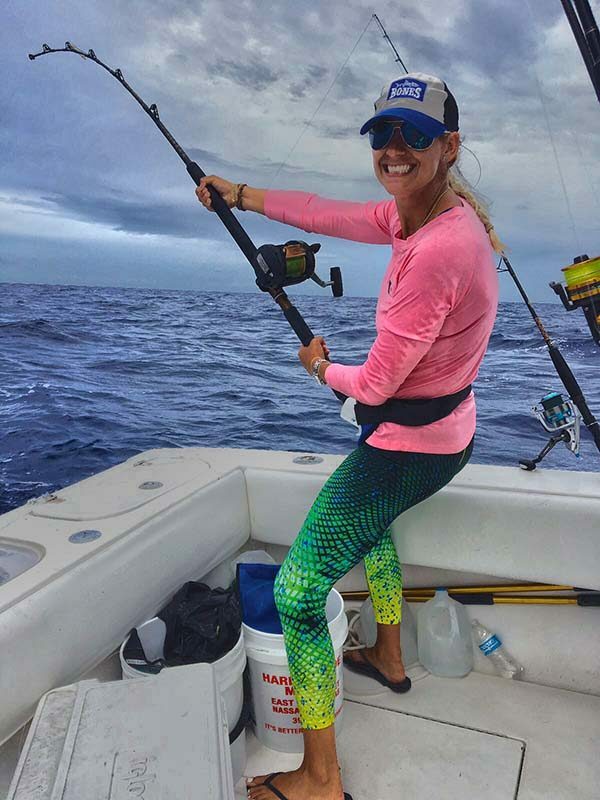 Kristi Long, Nikki Waugh, Nikki Rose and captain Siobhan Antoni-Bates took on the challenge of rough waters against a sea of male anglers. In addition, each of them were fishing against their husbands, who participated in various other boats. 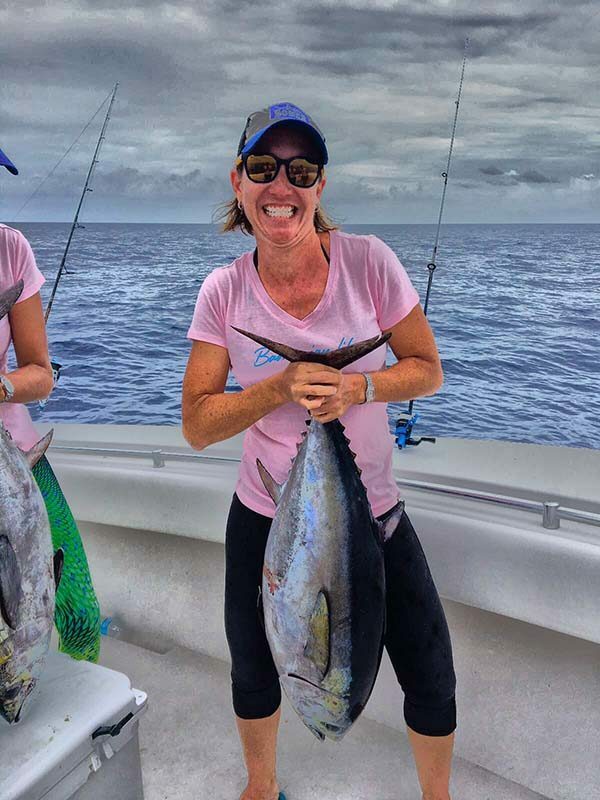 The ladies did not disappoint and brought home a variety of tuna and mahi with two weigh-worthy yellowfins. Most impressing, however, was their desire to create something fun and exciting from the tournament while also giving back. 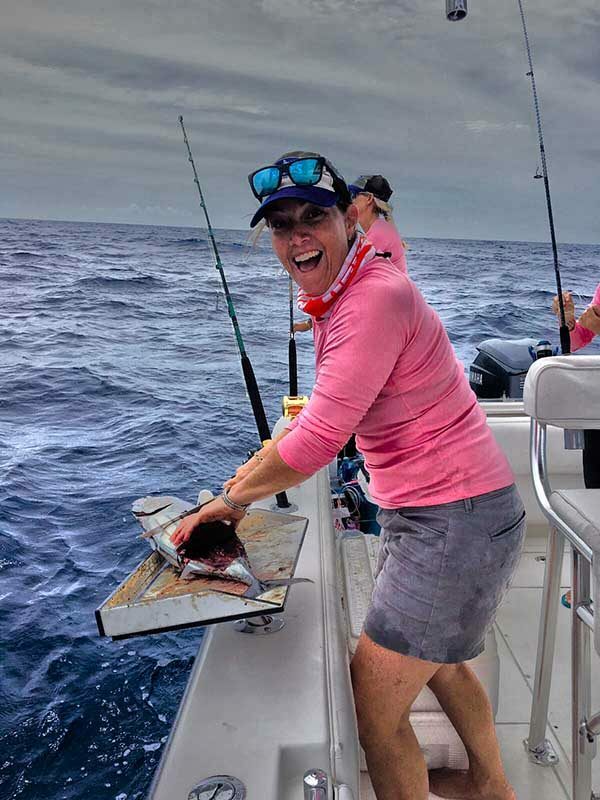 The team was able to raise huge sponsorships, including products from Smith Sunglasses, Sands Brewery, Docktail Bar, Coastal Angler Magazine, and Bahamian Life. In addition, they received financial support from Mechanical Engineering, Freeport Ship Services, Bimini Big Game Club, Entwined, Bootleg Chocolates, Long’s Marine, Panama Jack, and of course the main sponsor, Bones Bar. Due to the donations, Bone’s Babes were able to give a donation of $850 to the Bahamas Rotary. 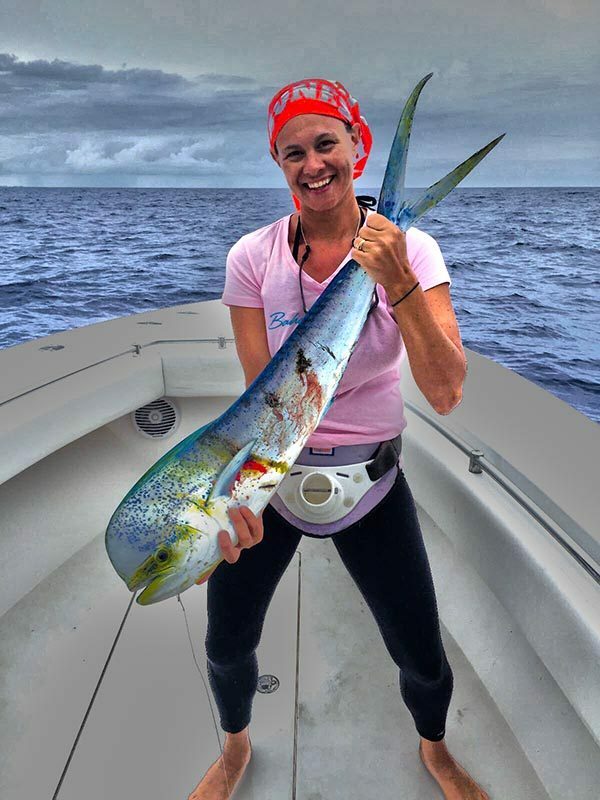 Check out the Bahamian female fishing team, Fish n’Chicks, at their next tournament in November at Bimini Big Game Club, The Wahoo Smackdown. They will be donating to a different cause each tournament so reach out to them if you’re interested in sponsoring. Contact telephone number is (242) 727-4366 or email [email protected].